I’m no longer working as a teacher aide but it was a wonderful learning experience. As a teacher aide I assisted many different classes and I was able to learn ideas on classroom management and activities. I was working with teachers who had been teaching for many years and it was great seeing the level of experience they had in action. I had some fun times at the school. Everyone was friendly and polite. It was a positive environment which was a nice change from some of the places I have worked at before. I will miss the children and the staff. One of my goals this year was to catch up with old friends. During the school holidays, I met up with my old teaching buddies from when I taught in the desert. We had a nice lunch together and chatted about old times and what were up to now. I also met up with one of my best friends. We finally swapped Christmas presents from last year as she’s been away travelling. I’m currently watching Chrisley knows best which is a reality tv show about a rich Southern family and their life. They all have big personalities which makes the show entertaining. I like how the episodes are around 21 minutes, so I can watch it while I’m eating and finish an episode during that time. I’m still reading The Blue Flower by Penelope Fitzgerald. It’s a fictional biography of Friedrich Von Hardenberg, a German philosopher. The book has been on ‘to be read’ pile for years. I’m liking it so far. 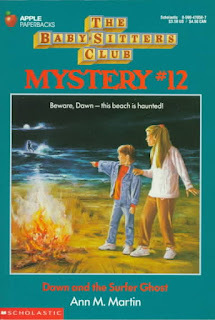 I’m also reading Dawn and Surfer Ghost by Ann Martin. 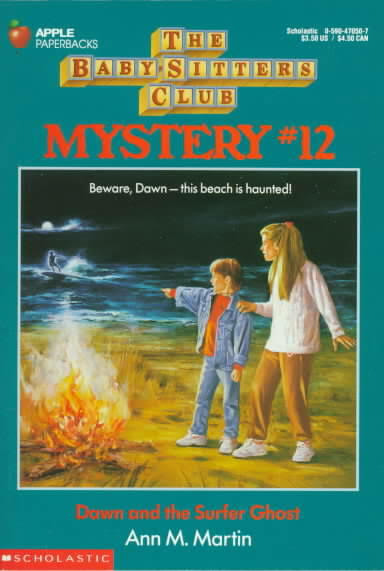 It’s one of the books from The Babysitter’s club.